Businesses that choose Waste Connections of the Carolinas as their Front Load service provider receive the highest quality Front Load Dumpster Service delivered by experienced drivers supported by an award winning customer service and operations staff. Our services are cost effective and environmentally sound, and they can be tailored to the customer’s requirements. 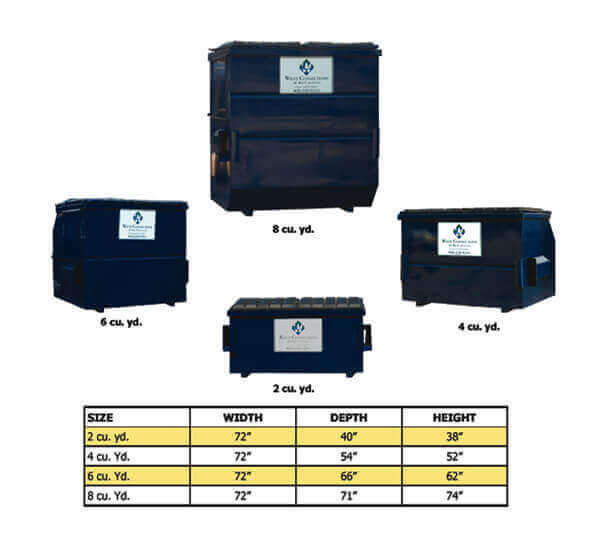 2, 4, 6 and 8 yd commercial containers are available and service frequencies can be provided up to 6 pickups per week.